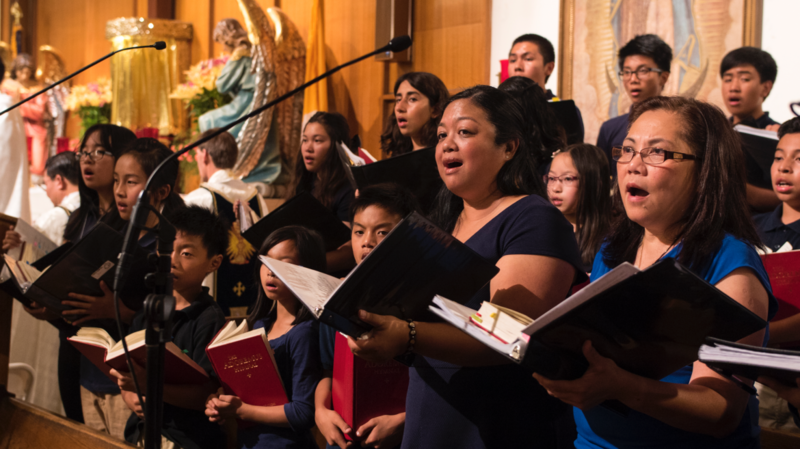 Our Lady of Peace Angeles Choir sings at the 7:30 A.M. Mass on Sundays. For the Angeles choir, contact Shawna Fleming at sfleming@dsj.org. Our Lady of Peace Small Ensemble sings at the 9 A.M. Mass on Sundays. 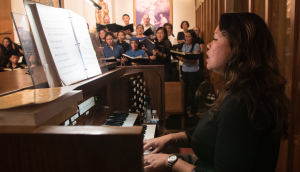 Along with the St. Cecilia Choir, they rehearse on Thursday evenings from 6:45 to 8:45 pm, room 1104 in the Pilgrimage Hall. Our Lady of Peace St. Cecilia Choir sings at the 10:30 A.M. Mass on Sunday. We rehearse on Thursday evenings from 6:45 to 8:45 pm, room 1104 in the Pilgrimage Hall. The Choir sings for, the Christmas Concert & Christmas Midnight Masses, Holy week liturgies, Fatima Pilgrimage, and celebrations of the church Sacraments (Confirmation, First Communion, Ordinations). For the St. Cecilia choir, contact Katrina Hauwert at kcosta@dsj.org. The mission of the OLOP Cherubim Choir is to provide children with the opportunity to develop their faith, love, and knowledge of God and have an artistic appreciation of music, singing joyfully to the Lord. The Cherubim Choir holds registration annually during the month of August, for children ages 8 to 18 years. They rehearse on Thursday afternoons from 5:15 – 6:15 pm in the Pilgrimage Hall room 1104. The Cherubim Choir sings at the Sunday 12 noon mass. They also sing for Special Masses – First Holy Communion, Confirmation, Fatima Pilgrimage and other special events. For the Cherubim choir, contact Katrina Hauwert at kcosta@dsj.org. 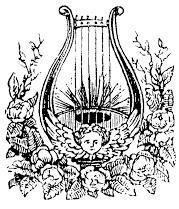 Our Lady of Peace Spanish Chorus rehearses on Wednesday evenings 7:30 – 8:30 pm and sings at the 6:30 pm Sunday Spanish Mass. For the Spanish choir, contact Shawna Fleming at sfleming@dsj.org. Saturday Vigil Masses at 5:00 and 7:30 pm and Sunday 2:00, 5:00 & 8:00 pm Masses are lead by Our Lady of Peace Cantors. If you are a skilled singer and would like to be a church cantor, please schedule to meet with the corresponding liturgical musician. We welcome new members for all our choirs – music reading skills are helpful, but are not required. Volunteer organists are also needed. If you are interested in joining any of Our Lady of Peace Church Choirs, please contact Shawna Fleming at sfleming@dsj.org or Katrina Hauwert at kcosta@dsj.org.